It’s official: I’m a lousy blogger. I’m beyond 50 now, but I failed to weigh myself on my birthday. However, I’ve been weighing around 228 pounds lately, so my total weight loss since my 49th birthday is 15.5 pounds. That’s somewhat less than I was hoping for, but I’m happy that I didn’t gain weight! And I’m still down 60 pounds from my highest weight. My next plan (Plan Z, I think) is to sign up for CrossFit. I did CrossFit for a while about a year and a half ago. But I quit when I sprained my ankle and never went back. So, I’m gonna try it again. I’m hoping my weight loss will make it a little easier. Maybe when I start making some progress I’ll be motivated to blog more often. I guess we’ll see what happens! 224.5 pounds, with one week to go. Wow, it’s been almost 2 months since my last post. Maybe I’m not meant to be a blogger. I should mention that I bought a house a couple of weeks ago, so I have been kinda busy. The scale says 225.8 pounds this morning. For the last three weeks or so, it was 228-point-something. So, I’m happy. I’m back. I’ve been very busy. I quit the meal delivery stuff. My weight went up a little. Now it’s back down a little. I was at 222.5 pounds this week. Here’s a “then and now” picture. The picture on the left was taken 8 years ago on my wedding day. I weighed 276 pounds. 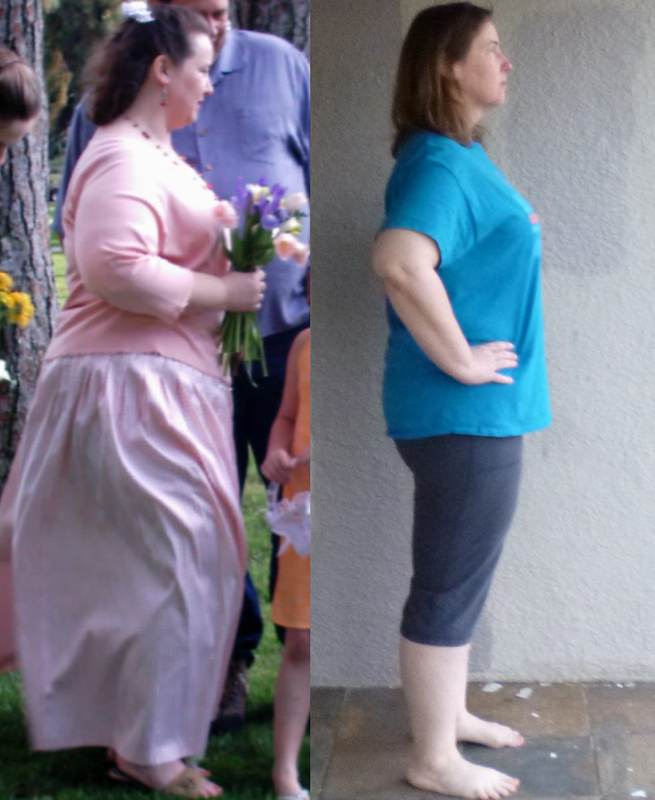 The picture on the right was taken a few days ago, 55 pounds lighter. Ah… that feels good. My clothes are getting loose on me and I’m excited about the way things are going. I’m still losing weight. My “Progress” graph is looking pretty good these days. I’ve lost 11 pounds in the last 11 weeks. I resumed walking 60 minutes a day today. I didn’t walk a lot while I was sick, which was forever. I’m still doing Fresh ‘N Lean. I like it a lot. There have been a couple of lasagna dishes that I didn’t care for, but I have enjoyed just about everything else.